Maggie's Big Home: Art and Alligators + Science! Art and Alligators + Science! We know that animals fascinate children. Many of these animals are humanized in children’s books, but it is always helpful to invite children to explore the realities of the animal world. This week, our activity (which is FREE to you if you sign up in the white box) educates children about the always amazing alligator. We like to begin a lesson about animals by asking children what they already know. You can make a list of these facts by writing them on a chart. This helps children understand that reading and writing are simply “talk written down.” It doesn’t matter if any or all of your students can read your chart, you are modeling the importance of writing. If children offer facts that are not true, put them in a column labeled, “To Check.” This is an important school-readiness skill that models for children the importance of using resources to make sure their thinking is correct. You can read aloud the text from our activity or from books you find in the library. Then invite children to make changes or additions to the set of alligator facts. You may want them to view this video the Maggie’s Big Home team took while on a recent visit to Mississippi. Can they spot the swimming alligator? Ask them to look for clues about where alligators live. In our activity, we offer children the chance to make a puzzle out of the alligator. 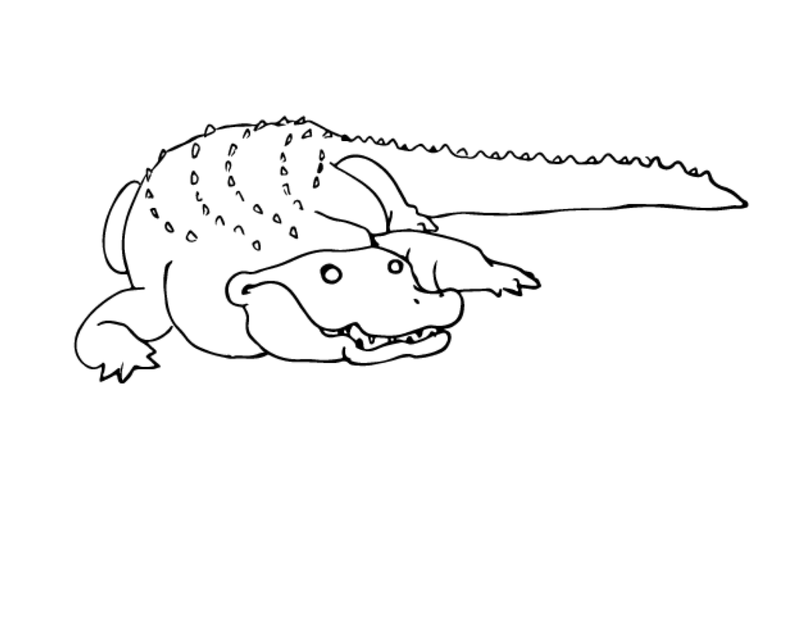 But here, we share an outline of an alligator for children to color, cut, and paste on another piece of paper. They can then draw objects like water, the sun, or a grassy bank to show an alligator’s habitat.